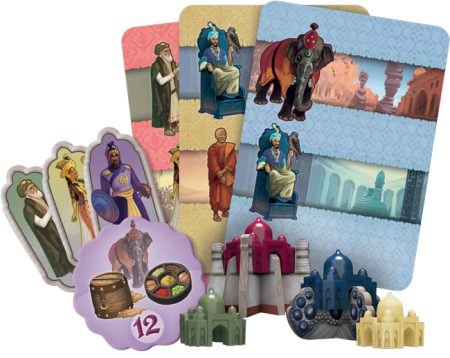 Travel back to India at the height of the Mogul Empire, and join the Grand Mogul as he tours across the twelve provinces. Compete for the Grand Mogul’s approval, the loyalty of his advisors, and the wealth of the provinces. The court is yours to influence, and the future of India is within your grasp. 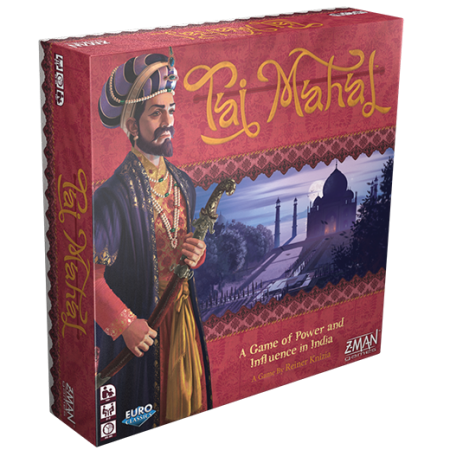 You can now Pre-order your copy of Taj Mahal from Z-Man Games. But beware! You aren’t the only one competing to seize power. 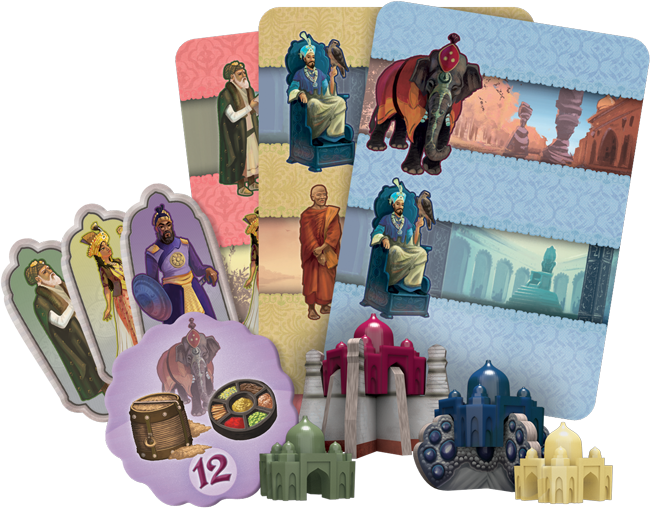 As you travel with the Grand Mogul to the many beautiful provinces of India, keep an eye on your opponents. Pick your battles carefully and strategically time your withdrawal to claim your influence of particular members of court or save your cards for future confrontations. Some provinces are richer opportunities than others, with bonus tokens and desirable commodities. You don’t want to be left without the means to influence the court at a more desirable new province. Strategically saving your influence cards could lead to victory in the best provinces. A carefully placed word or the right gesture and the members of court will be at your feet. While touring each province, you must carefully spread your influence to master the dance of intrigue and defeat your opponents who are also seeking the court’s favor. To influence the court, select a card from your hand and place it faceup in front of you. You may start ambitiously, playing a card with the Grand Mogul’s symbol on it to draw out other player’s cards. The next player can choose to spread their influence to the Grand Mogul as well, matching your influence, or they can play a card with a different symbol, going after other members of court or control of the province itself. You must continue to spread your influence with cards that have the same background color. A yellow card can’t be played once you have started your influence with red, for example. Once you have spread as much influence as you can or as much as you choose to, you withdraw. 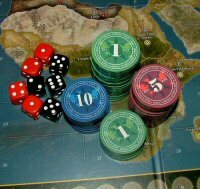 For each member of the court you have influenced more than your opponents, you claim the corresponding tokens.